The National Library of Australia aims to build a comprehensive collection of Australian publications to ensure that Australians have access to their documentary heritage now and in the future. The Library has traditionally collected items in print, but it is also committed to preserving electronic publications of lasting cultural value. 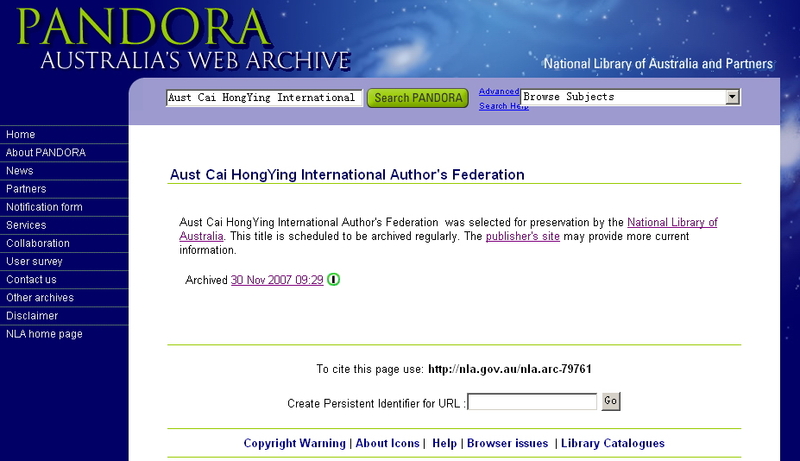 We would like to include the Aust Cai Hong Ying International Author's Federation http://www.azchy.com/index.html and Aust Winner website http://www.australianwinner.com/index.htm into PANDORA Archive and I would be grateful if you would let me know whether you are willing to permit us to do so, that is, grant us a licence under the Copyright Act 1968, to copy your publication into the Archive and to provide public online access to it via the Internet. This means that you would grant the Library permission to retain your publication in the Archive and to provide public access to it in perpetuity. If you are willing to grant us such a licence, please complete the short form at the end of this message and return it to me. 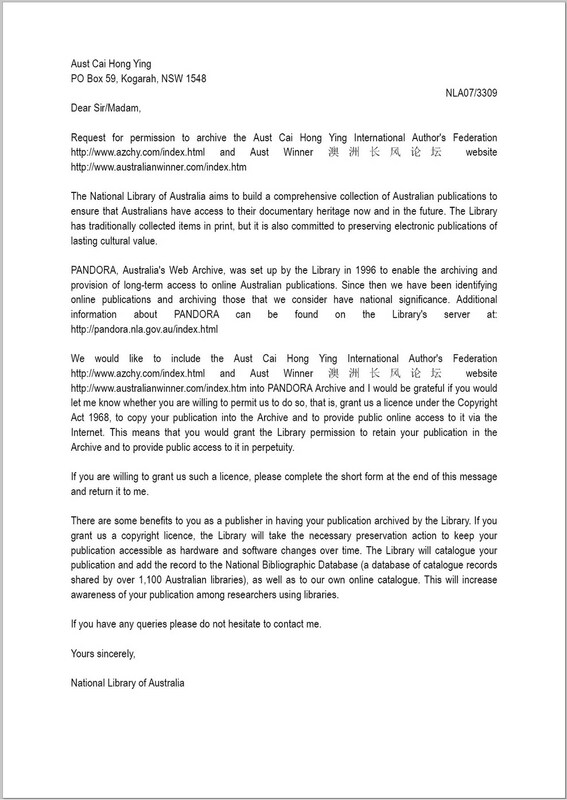 There are some benefits to you as a publisher in having your publication archived by the Library. If you grant us a copyright licence, the Library will take the necessary preservation action to keep your publication accessible as hardware and software changes over time. 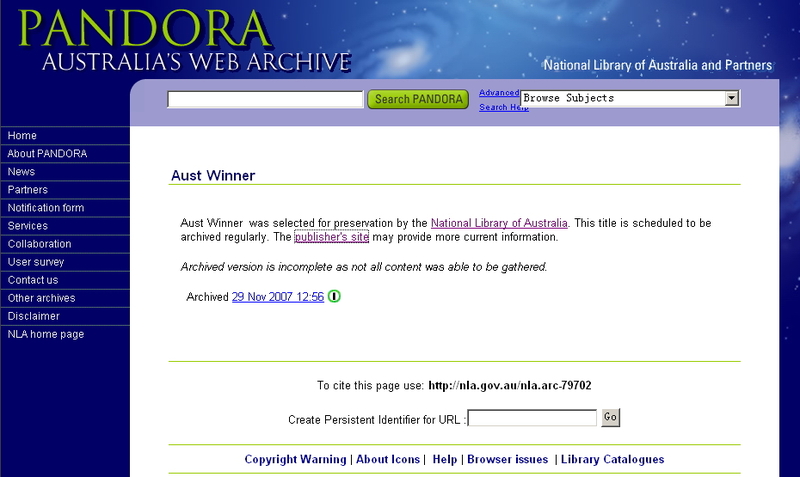 The Library will catalogue your publication and add the record to the National Bibliographic Database (a database of catalogue records shared by over 1,100 Australian libraries), as well as to our own online catalogue. 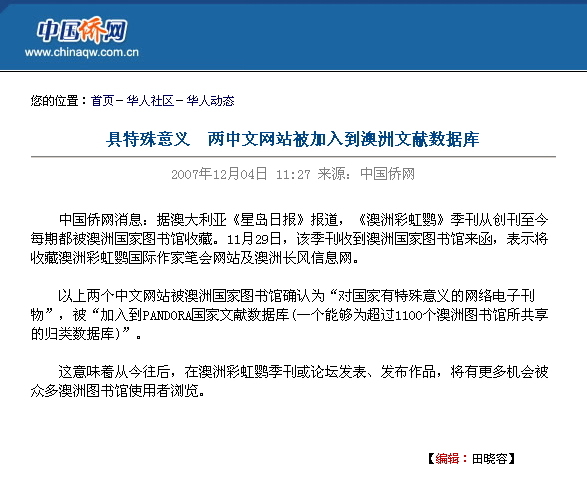 This will increase awareness of your publication among researchers using libraries. 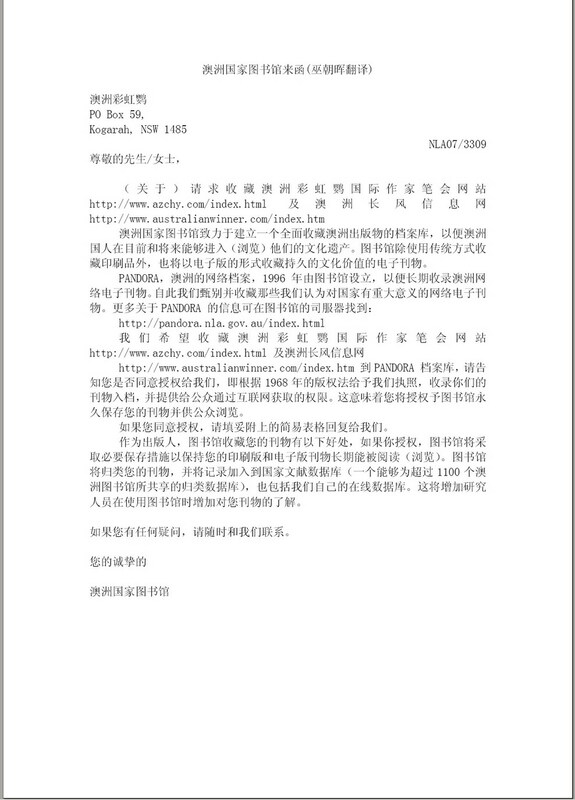 If you have any queries please do not hesitate to contact me.